Wikipedia: Worldbuilding is a technique widely used by authors to create diverse and believable constructed worlds in which to base their stories, the process usually involves the creation of maps, listing the backstory of the world and the people of the world, amongst other features. Worldbuilding - though primarily the tool of fantasy and science fiction authors - is also a helpful tool to authors of any genre. Worldbuilding allows the creator to add a depth of realism that they might not have been able to achieve otherwise, having a guide to the created world that can be easily referred to will help to avoid simple mistakes in the lore of the world. I began building a world through the unsung and unseen Future Primitive Guide project. If you know me you know I burnt out on the whole idea and escaped back into my painting for a bit. You also know that I change my creative direction once a week. At the Moment™, I'm thinking that making the guidebook could only do good and fill my portfolio with illustration. So, yes, world building! I've always been interested in the idea. 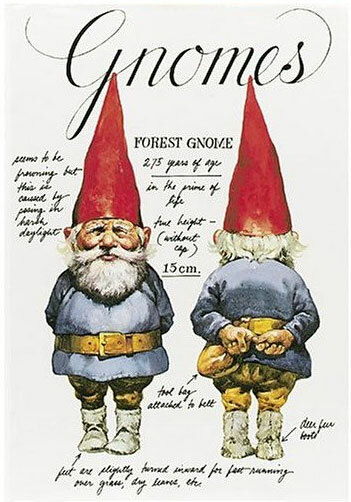 Started when grandma bought me the book "Gnomes." So thorough, beautifully illustrated and believable. I dipped into world building with Dungeons and Dragons which is a great because the dice tell the story but the world is built by the dungeon master. 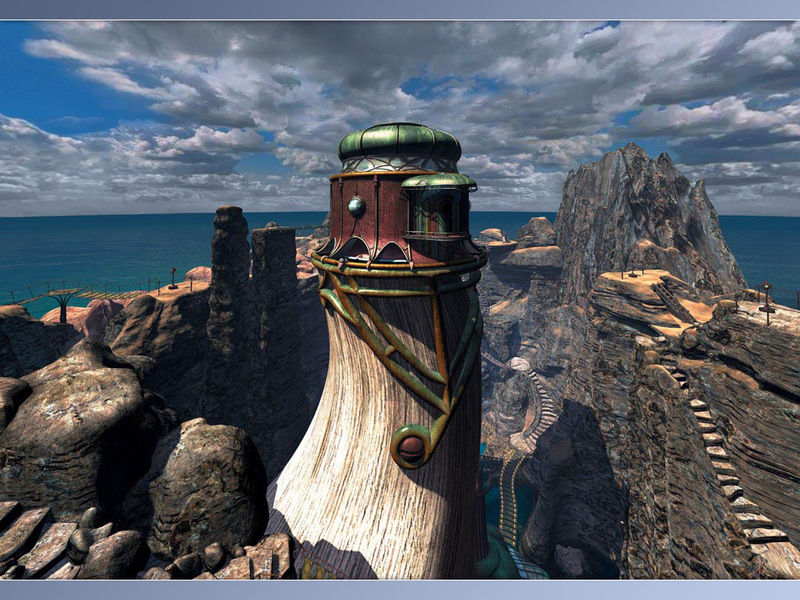 Myst, the video game, leaves nothing to the imagination and I was blown away when I first experienced it. I am just one person though, not a team of paid artists and wish I had the time to flesh out something so completely. As Laurie Anderson said, "Use what you have right now." So, guidebooks to imaginary worlds is pretty cool by me. I can write and illustrate. Not having to come up with an award winning story, but just the world is very freeing. I have no problem imagining and walking into worlds of my own creation. I've read some books on creating new worlds like, "Aliens and Alien Societies," by Ben Bova. I don't construct that way but there really isn't any guide to building a world. It's more of a process of making sure every "law" makes sense and every detail is covered somehow. I seem to imagine a place and time and work my way backwards from there to justify my fantasy. The process for me is less about willing the world into existence than collecting daily encounters that have something to do with the world. An ipod in the year 3005 might be used to mash a tuber for dinner or sealed under glass at the Smithsonian for historical meaning. How did this come to be? Victorian Utopia - How high could our quality of life be right now if we just believed? A day dream of agrarian society and technology that makes it all so easy. No industry, no greed, no mass production. Alien - From their perspective. And no subtitles. Just them being like forest rangers testing, managing, and adjusting our environment to keep their human experiment alive and growing. I imagine a pile of guidebooks to different worlds at the foot of my deathbed. This week at least.